Genre/Influences: Medieval, dark-electro, ethereal, gothic. Background/Info: After a previous split-release between dark-wave-electro-medieval band Schwarzblut (The Netherlands) and the the medieval formation Saeldes Sanc (Germany) featuring Hannah Wagner (also known from Helium Vola) they now joined hands to unleash this EP-collaboration. The common element between both formation is their love for ancient languages and poetry. Content: The music is mixing different influences, which you for sure have already discovered in the work of Schwarzblut. It sounds like a melting pot between dark-electronics, gothic, but especially medieval music and ethereal vocal parts. Hannah Wagner supports this work with an angelic touch while acoustic instruments only accentuate the graceful writing of this work. One of the noticeable cuts is the adaptation of the famous “Palästinalied”. You’ll also discover remixes by Heliophile, Maarten Pels and Noise Junk. + + + : “Wildes Herz” is an invitation to dream away, joining an imaginary distant and medieval world. 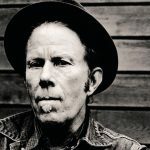 The songs have been accomplished with epic arrangements at one side, but still an artistic approach achieved with violin and the beauty of the vocals. There’s a harmony between subtle treatments at one side and bombast at the other side. It’s the kind of work that will possibly appeal for fans of Qntal, Helium Vola, Arcana and related genres although Schwarzblut always inject a darker and more electronic-like touch as well. That’s what you can hear on the remixes as well. The duality between all the influences is fascinating challenge. – – – : I enjoyed the “Palästinalied” interpretation, but was it really necessary to cover this famous song? 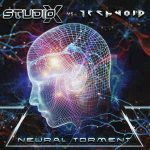 I like the diversity of the production, but I’m not always convinced about the more electronic-like versions –mainly revealed on the remixes. 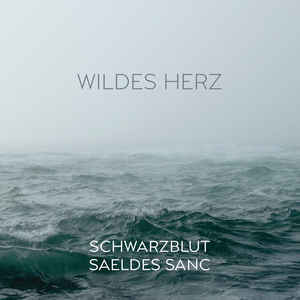 Conclusion: “Wildes Herz” is the logical continuation between two band sharing common interests and passion for beautiful and transcendental music. Best songs: “Mit Manger Fröide Und Liebes Vil – Schwarzblut Edit”, “Palästinalied”, “Lucy Gray – Schwarzblut Edit”.